Last week a local firm contacted us about an issue that they have with Dynamics CRM 11 and SharePoint 2010 integration, but first I will make you a brief overview of the integration between those two products. Dynamics CRM 11 can be integrated with SharePoint in order to have centralized Document management functionality based on SharePoint. 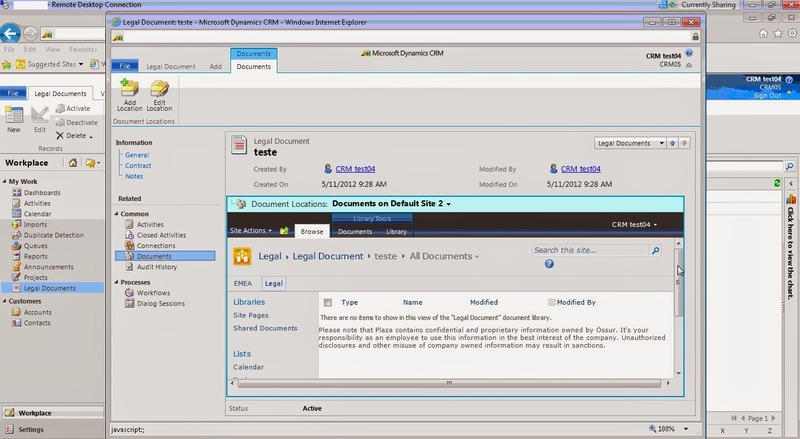 CRM 11 On-Premise can be combined with MOSS 2007, SharePoint 2010 and SharePoint 2013 (All editions including Online). The integration will allow us to have one location where to store the documents from the CRM entities and records, the users can work with the documents from the CRM as well in SharePoint, no documents will be stored in the CRM itself. 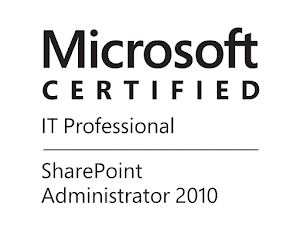 At this time we do not have standard support from Microsoft for Microsoft Office SharePoint Server 2007(MOSS 2007), so this article is mainly for the integration with SharePoint 2010, also the issue that is the reason for this article is with SharePoint 2010. 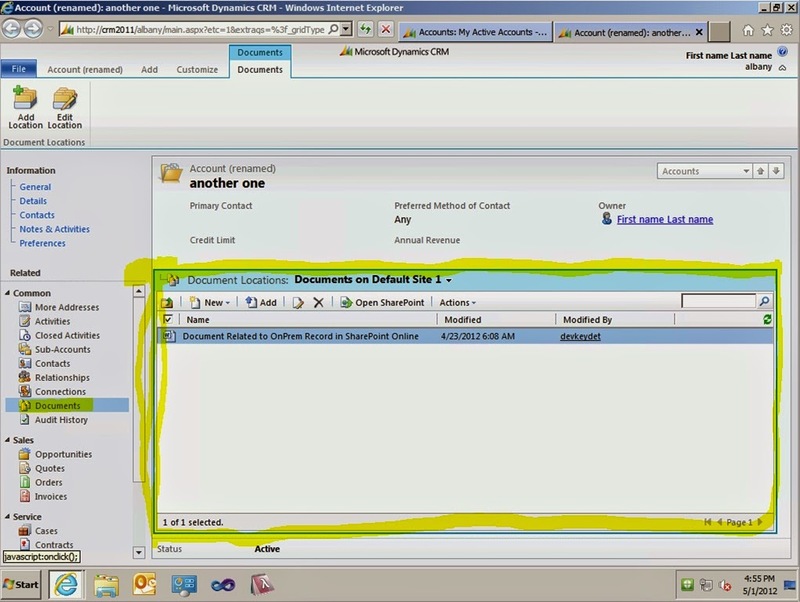 The integration with SharePoint 2010 is fairly simple process, since the CRM is using SharePoint as a document storage. As this is an overview of the integration I am not getting in details. The process is very straightforward and can be done from the CRM interface. You can check following article for detailed procedure for integrating this products, Here. The important part(but not mandatory) here is the List Component that is deployed on the SharePoint side, it gives us integrated look of file "grid" and the ability to create the libraries and folders automatically from the CRM. Below you can see how it looks with installed list component and without it. The issue of the customer started when he migrated the sql instance of the SharePoint to a different server, the customer started to receive below error when a new record is created in the CRM. An error occurred while loading the page. The URL may not have been mapped in the SharePoint Server. Ask your system administrator to check the Configure alternate access mappings settings in the SharePoint Central Administration. It is clear that the CRM was trying to create a new folder for the record in the Accounts library(in my case). If the users open record with existing folder they are able to view the content correctly, they can upload a new document, but the file view fails to refresh. My first thoughts were "Well there must be something wrong with the AAM from Sharepoint side.". Unfortunately after a couple of hours troubleshooting and testing there was nothing wrong with the Alternate Access Mapping. According to the customer nothing was changed except the migration of the SQL instance. I am not sure what exactly were the versions of the SharePoint and the CRM because I had limited time for access on the systems. However, I decided that there must be something wrong with the list component. I downloaded the latest available package and deployed it in the Document location site. Can you guess what happened? Yes everything started to work as charm! Since I cannot confirm the exact versions of the products and what were the conditions that led to this behaviour. I think that if you get such errors it is worth trying to upgrade to the latest list component solution available. At this time the latest package version is 05.00.9690.4159 from 7/1/2014.